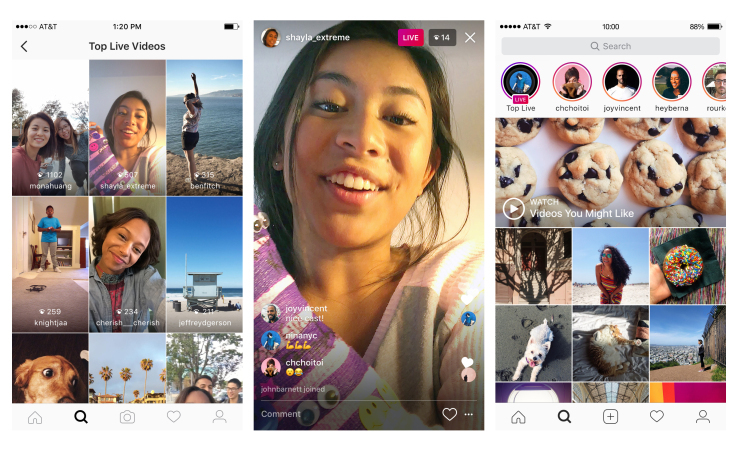 Instagram Live is an all new feature by Instagram which allows you live stream anything from your mobile device. A few months back, Instagram introduced Instagram stories which was popularly regarded as the potential snapchat killer. Instagram stories allows users to post pictures or videos which expire after 24 hours. 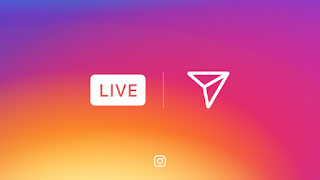 Similar to the way Facebook Live works, Instagram Live allows you to live stream at the touch of a button from the Instagram App. Viewers can leave comments and react live to the live stream. Instagram has added a new "Top Live Videos" category to the explore tab on the app. This will help users see the current trending/popular live videos in an instant. To start using Instagram Live, users must have the latest version of Instagram from either the Google play Store or Apple Store. To start broadcasting, just swipe to Instagram Stories and then Swipe to the "Live" mode. Viewers will now you are live with the "live badge" showing on your story icon. While Facebook live works on both mobile and PC platforms you can only use Instagram Live on the Instagram mobile app. Also, you can't access live video after recording it on Instagram unlike Facebook live videos which automatically add to your timeline after recording. Note: Live videos will not show on the timeline. A live badge will show on your Instagram story icon to show to your followers that you are live at the moment. Although the essence of enabling Live streaming on Instagram is unknown, I expect to be a huge hit in this part of the world. Especially with all the music concerts and awards coming up this December 😂.